Dr Roberta De Bei’s research focuses on helping viticulturists worldwide to improve their vineyard management to consistently produce quality wine. Despite growing up in the only province of Italy where there is no wine production, Roberta pursued a career in viticulture and she moved to Australia after completing her PhD at the University of Padova. 2018 marked Roberta’s ten years at the University of Adelaide where she is a research fellow, funded by Wine Australia, in the School of Agriculture, Food and Wine of the faculty of Sciences. Her research interests include vine physiology, vine performance and sustainable vineyard management. Roberta is passionate about delivering practical outcomes for the wine industry and is the co-inventor of a smartphone App that enables real time monitoring of grapevine canopy architecture to improve vineyard management. She won the Australian Women in Wine award for Researcher of the Year in 2016 for her contribution to the Australian wine industry. Having established a strong network of global collaborators, Roberta is often invited to present her research at national and international forums. 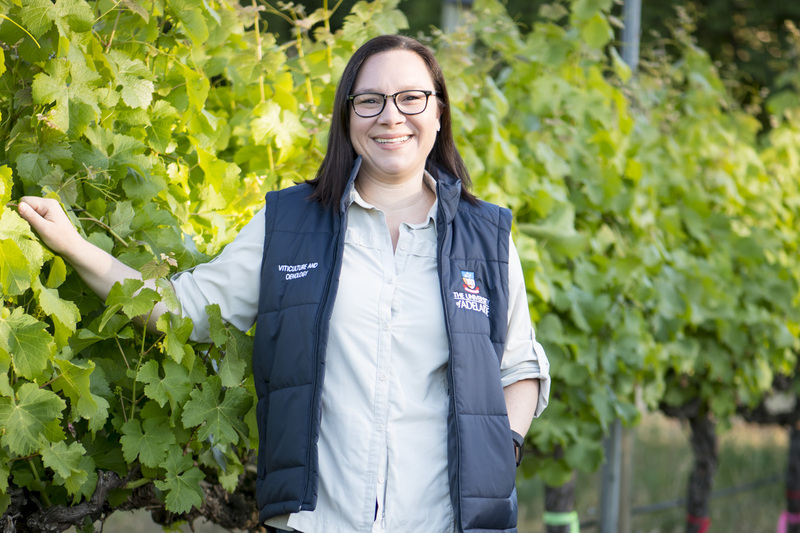 She regularly engages grape growers by delivering seminars and organising growers-days; she also communicates her research to students through her teaching, supervision and outreach events. Roberta has an encyclopaedic knowledge of wine and food, has travelled extensively and speaks four languages.